Tuesday Grant, my trusty creative director of media =) [how's that for a title Grant!?!] and I began our video shooting schedule! First, on my way to our first shoot location (an old shut down school on the West side of GR) I get a text from Grant saying that there are about a dozen police cars there?!? My guess is that they are doing active shooting drills in the abandoned school. The irony isn't lost on me... however, we need a new place to shoot... We drive around a little bit and I spy a place right down the road that would work. It's a cool old brick building that used to be a mortuary (ohhh... creepy!). Now it looks like it was bought by some non-profit. I introduced myself and told him what we were up to. He lightened as he told me that his name was John and that as long as we didn't get his sign in our video that he was fine with us using the side of his building to shoot our video. "Check one, two, three... Check. Check Check." (Looking down at the THREE lapel mic's I have...) Nah, I'll only bring this one, I just used it, it worked great! Why bring more stuff to get in the way?! I tell Grant to hold down the fort, jump in my car and truck my happy a$$ all the way back home to get my other lapel mics. I make good time and we get the shots we need and move to our next location downtown GR. Seven or so hours later, we wrap up, just beating the rain. We have a full shooting schedule this summer for some REALLY COOL material that'll be coming your way later this season! Tactical Space is the place of advantage... It's the 'Space' where you have the upper-hand... The space that is critical for accomplishing whatever technique you're trying to apply. The space where all of the 'stuff' happens. Basically, if you have the ability to see and take the advantage of the Tactical Space, you will have an advantage in any situation. In this FREE module I'll explain each of the strategies in depth and then show how each one can be applied to gain the advantage in both a physical and verbal engagement. BTW - This will make your Krav Maga techniques A LOT more effective in the gym and more importantly if you every really had to defend yourself or someone else. The Protector Deed of the Day [PDD] is now Officially the PeaceWalker Daily Deed! Yes, I just got word in from our global headquarters of this monumental change! Did you do yours yet?! #1 - Lead from the front... Meaning that if you are walking the walk, rather than just talking the talk, people are more apt to follow you! So, get out there and Set the Pace! #2 - Respect - Be able to separate someones Value as a Human Being from their behavior and beliefs. Show respect to the Life Value of the person even if you don't agree with their actions, convictions or idea. #3 - Protect - How can you protect them (like a PDD only better). Not just physically. Think about it... If you are an employer one way you protect your employee is by making sure they get paid what you agreed upon. 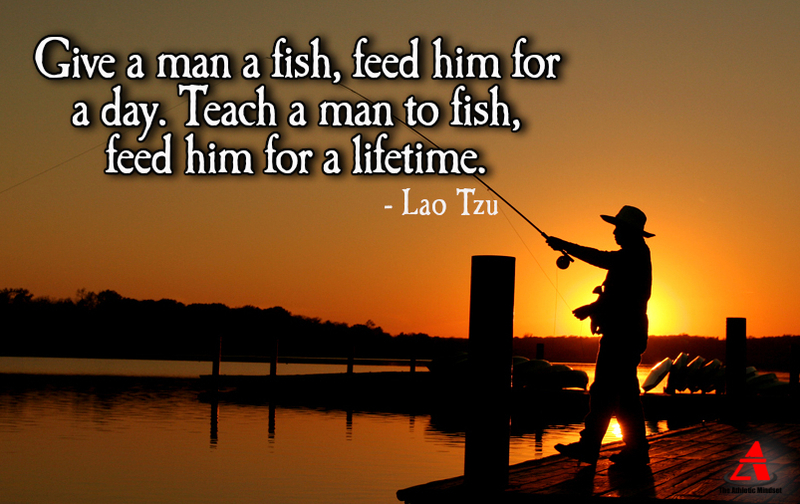 "Give the man a fish and he eats for a day. 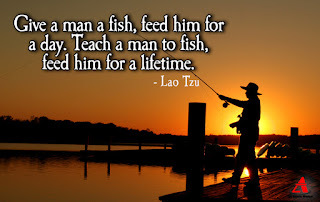 Teach a man how to fish and he can feed himself for a lifetime (his family too!)." When you empower the person (or team) to be successful, they're more likely follow you AND it's SO MUCH LESS MANAGEMENT! Today, as your PDD [PeaceWalker Deed of the Day], go teach someone something today! Tomorrow I want you to post in our Facebook PeaceWalker Community Group https://www.facebook.com/groups/1790355384325766/ the ONE THING that you taught to someone. Remember, it's about the little things! Working on the little things make it possible to do the big things!! Forward it to your friends too! !